So, what’s with all these rumblings I keep hearing about Jon Snow? Supposedly, something controversial happened to him in the Season Finale of Game of Thrones. Actually, quite a bit happened throughout Mother’s Mercy, the Season 5 finale, which is also the 50th episode, overall. Acts of mutiny by sellswords, never-ending battles between houses, Sam flees to Oldtown with his lady friend (with baby in tow), Brienne finally gets vengeance, Arya Stark slashes the very first person off her list, the Multi-Faced God sees no mercy, an arranged marriage that was not to be, Tyrion is left alone to govern Meereen, Daenerys Targaryen is taken hostage, Lady Cersei confesses her sin and faces a serious walk of shame and a mysterious masked new member of the Kingsguard arrives, who has taken a vow of silence. Who can this be, now? But most importantly of all, Jon Snow takes one for the team… er, the Night’s Watch. What madness is this? Why would the HBO production crew kill off the second-most famous character of this TV series? It’s hard to say. I’ve got no idea if this was primarily an idea by series creator, George R. R. Martin or if it was simply a stunt event taken by the TV network, trying to promote the landmark episode. The only thing thing that is clear: My favorite character (other than Drogon) has been killed off and my interest for this TV show shall surely wane. After the episode initially aired, there was so much social-media buzz concerning Jon Snow, averting any spoilers was nigh impossible. I could hardly contain my disgust. 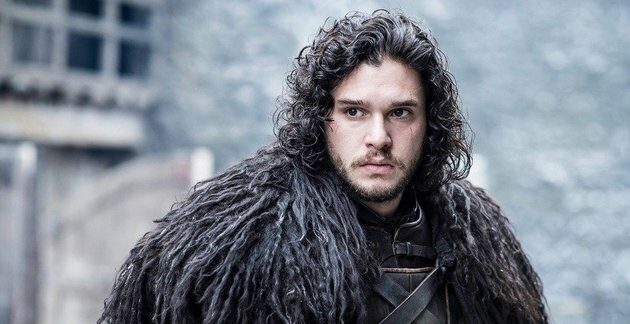 Appearing at multiple events, including San Diego Comic-Con, Director David Nutter, along with series creators David Benioff and D. B. Weiss revealed the awful truth: Snow’s dead, baby. Snow’s dead. So, where does the series go from here? Now that Jon’s officially out of the picture, the Internet is abuzz about the upcoming Season 6 season premiere, which may or may not finally reveal Snow’s family (and possibly his sibling). One theory among fans follows the Romulus and Remus legend. If proven true, that could be some serious drama. As a parting shot, this episode received multiple Emmy award nominations, including Outstanding Directing for a Drama Series and Outstanding Writing for a Drama Series, as well as Lena Headey’s nomination for Primetime Emmy Award for Outstanding Supporting Actress in a Drama Series. Strength: Many threads reach temporary conclusions. Weakness: The unnecessary death of Jon Snow. WTF Moment: Jon. Snow. Period. Such a wasted opportunity for good storylines.